Board members serve for staggered 5-year terms. Board Members, Friends of the Library and Our Patrons: Thanks for all you do! Follow us on Facebook. It's a good way to communicate with us. The Mineral County Public Library in Superior, Montana, is open five days a week (closed Wednesdays, Weekends and Holidays), but we're online by email 24/7. Need a Library Card? Download our application and bring it to the main library or your nearest branch. Call, email, or stop by. Patrons tell us we're really a warm and wonderful place to visit. 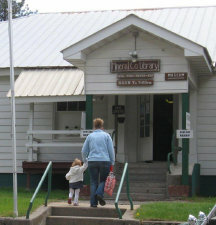 The mission of the Mineral County Public Library System is to welcome people of all ages in pursuit of their freedom to read, learn, and discover. We strive to improve the quality of life for county residents by providing materials, information services and programs that enhance and contribute to personal enrichment, life-long learning and recreational needs. Through its branches at Alberton, St. Regis and Superior, it is the goal of the library to bring the community together by providing quality library facilities and the best in print and non-print materials to statisy the needs of each unique community and to serve residents in the farthest reaches of Mineral County. The St. Regis School and Community Library also provides a variety of activities that support the educational goals of their school. Mineral Couty Public Library System creates opportunities to participate, connect, and discover. It's your FREE Ticket to the World.